How to Build an SEO Strategy and Make It Work for Your Business. 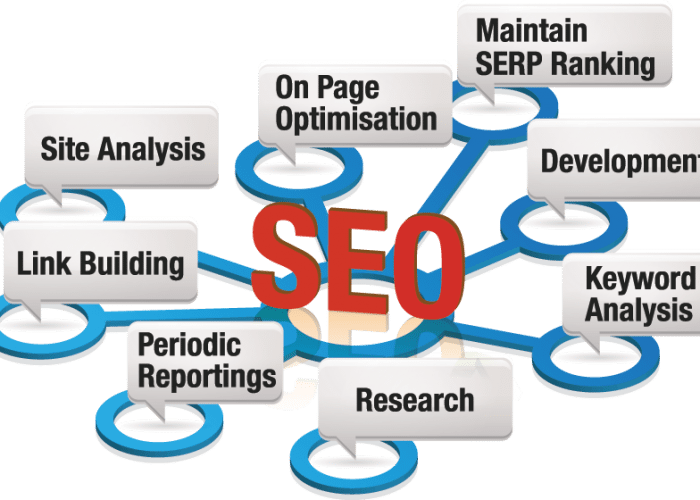 SEO is an exact science when it comes to implementing your activity. You need to follow a tight set of practices in order to satisfy Google’s complex algorithms. But knowing what to do to get ranked is only half the battle. It’s also about knowing how much effort you need to apply to outperform your competitors, something we pay particular attention to at Whitefish Marketing. Every business will have a set of competitors in their particular industry. Some of those competitors will heavily invest in SEO activity and some will make small developments. Who is who might be apparent by the order of rankings on Google’s results pages, when a user searches for one of your industry’s products or services. Any business that has an SEO strategy will undoubtedly be covering off all the required activity, but sometimes those businesses find that they just can’t get the results they desire. Why? It’s your level of competition. How Do I Measure My Competitor’s SEO Performance? In order to establish where you perform against your competitors, you need to conduct a competitor analysis. You can look at things like keyword rankings, social media activity and backlinks. Any decent SEO agency will do this to understanding your position in the digital marketplace. They will then look at your KPIs and decide on the right SEO strategy to get ahead of your competitors and meet your KPIs. A keyword competitor analysis is a useful exercise, to find out who ranks where, for what. Take your keywords and run them through a program like Ahrefs for your business and a handful of your direct competitors. It takes a while as Google is suspicious of unnatural activity on its search platform, but at the end you can export a spreadsheet with all the rank positions for each keyword, for each competitor. You can use this document to identify which keywords you need to better optimise your site for, to get ahead of your competitors. Running these reports monthly helps to see how much progress you have made with your monthly on-page optimisation efforts. Analysing your competitor’s social media presence is a great way to see what types of activity they are engaging in, how much and what works and what doesn’t. You can the plan and execute a similar strategy and vamp up the amount of activity. What everyone does well – for your cover as a minimum. What nobody does well, so you can come in and become the leader. What customers respond to the most/best. Backlinks are a strong rank signal. Tools such as Linkody not only give you an inside look at what your competitors are doing, they also give you notifications when you gain and lose links and give you the ability to pinpoint and disavow spammy links, to get the edge over your competitors. There is a plethora of other tools you can use to check your competitors’ SEO performance, including Alexa (traffic), Owletter (email marketing) and Brandwatch (content). Once you have identified the level of effort required to get ahead of your competitors, you can execute an SEO strategy that works, including all the recommended activity under Google’s best practice guidelines. If you need a little assistance with your competitor analysis or SEO strategy planning and implementation, call the friendly Whitefish Marketing team on 01303 720 288.